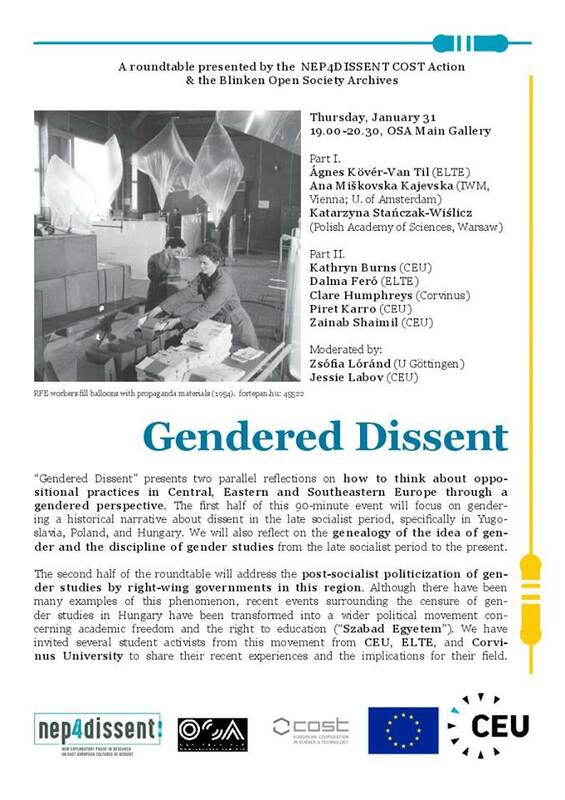 “Gendered Dissent” presents two parallel reflections on how to think about oppositional practices in Central, Eastern and Southeastern Europe through a gendered perspective. The first half of this 90-minute event will focus on gendering a historical narrative about dissent in the late socialist period, specifically in Yugoslavia, Poland, and Hungary. We will also reflect on the genealogy of the idea of gender and the discipline of gender studies from the late socialist period to the present. The second half of the roundtable will address the post-socialist politicization of gender studies by right-wing governments in this region. 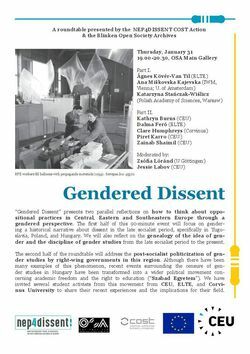 Although there have been many examples of this phenomenon, recent events surrounding the censure of gender studies in Hungary have been transformed into a wider political movement concerning academic freedom and the right to education (“Szabad Egyetem”). We have invited several student activists from this movement who are based in gender studies departments at from CEU, ELTE, and Corvinus University to share their recent experiences and the implications for their field.